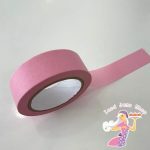 One of our most popular all year round products! 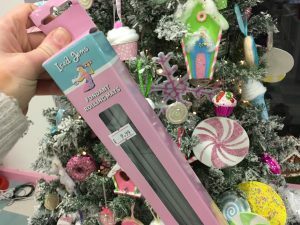 This gorgeous pink Piping Nozzle Stand is perfect for displaying your piping nozzles and filling piping bags without getting buttercream everywhere! These Rolling Mats are an absolute god send! Just look at the reviews on our Facebook Page if you are unsure, a set of 2 Mats both 50cm in size, the mats are completely non-stick. 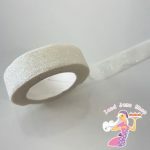 Simply roll your fondant in between them for smooth, non cracked icing. 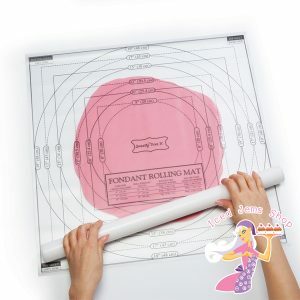 Then peel the top mat away and use the bottom mat to lift the icing onto your cake (no more balancing on a rolling pin)! 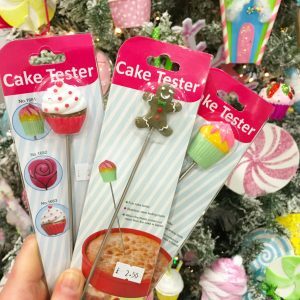 These super cute Cake Testers are a perfect stocking filler for a baker! 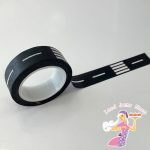 Use them to quickly and easily check if your cakes are cooked by poking them into your sponge and checking if they come out clean. 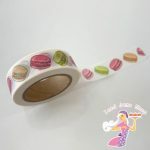 This fabulous mug will make any baker smile! 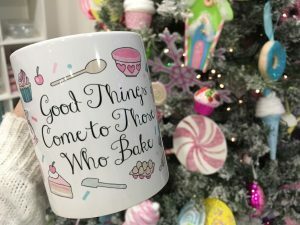 We also have a gorgeous range of Christmas Themed Mugs, check out our “Oh Christmas Tea” Mug and “It’s beginning to look a latte like Christmas” Mug for the Tea and Coffee lovers in your life. 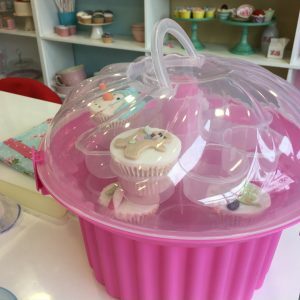 Deliver cupcakes in style with this amazing 3 tier pink cupcake caddy! 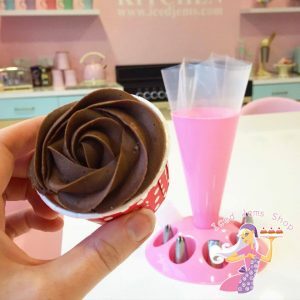 Simply unlike the lid, then slide off one tier of cupcakes at a time. 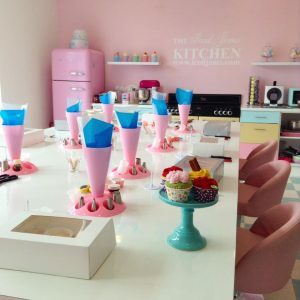 Any baker or cake decorator, loves a good day out at a Cake Decorating Class. Our purpose built kitchen and classroom is a wonderful environment to learn. 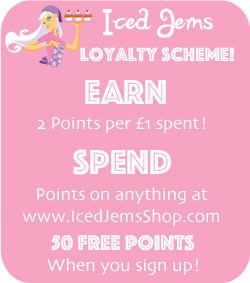 Our classes start from just £35 per person, all tools and equipment are provided for each class, you simply turn up on the day and enjoy! 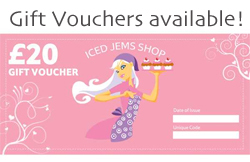 If you are unsure what class to go for, you can also get one of our gift vouchers which are redeemable against classes.